Minimally invasive surgical approaches have revolutionized surgical care and are becoming increasingly common and sought after in neurosurgery. As the incisions and surgical corridors are small, patients tend to have faster recovery times and less discomfort compared with conventional surgery. Transtubular anatomy and techniques differ significantly from those in microneurosurgery and endoscopic neurosurgery, and new surgical landmarks and corridors need to be utilized to help surgeons navigate this new and unfamiliar surgical field. This unique hands-on course provides a comprehensive overview of basic transtubular neurosurgical approaches and their respective modifications. Practicing neurosurgeons, fellows, and residents in training. 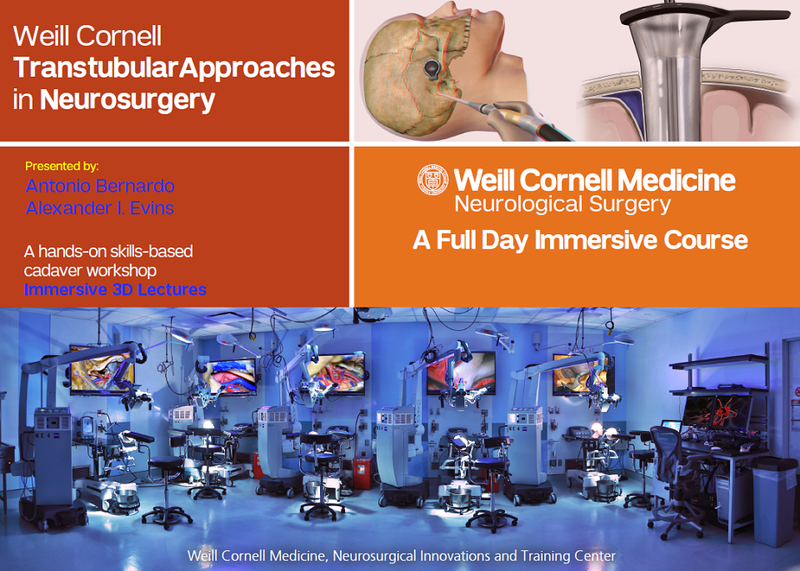 Feel free to contact us via the form below or via e-mail at skullbasecourses@med.cornell.edu.